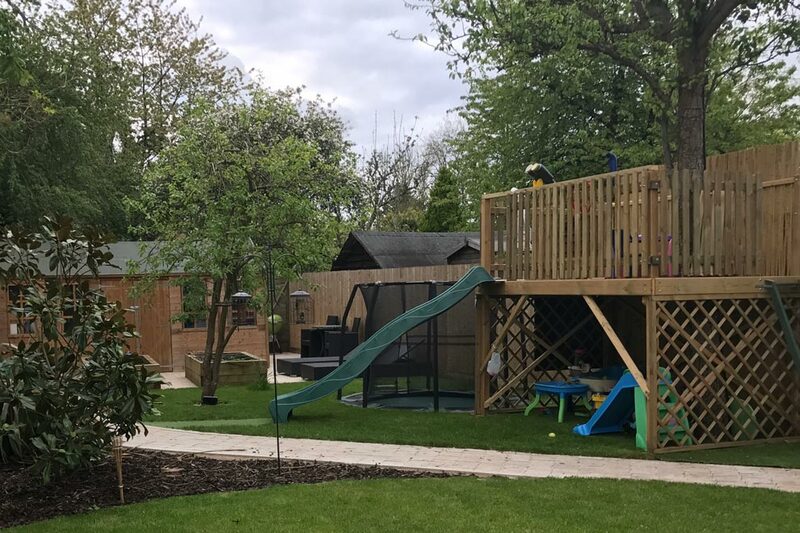 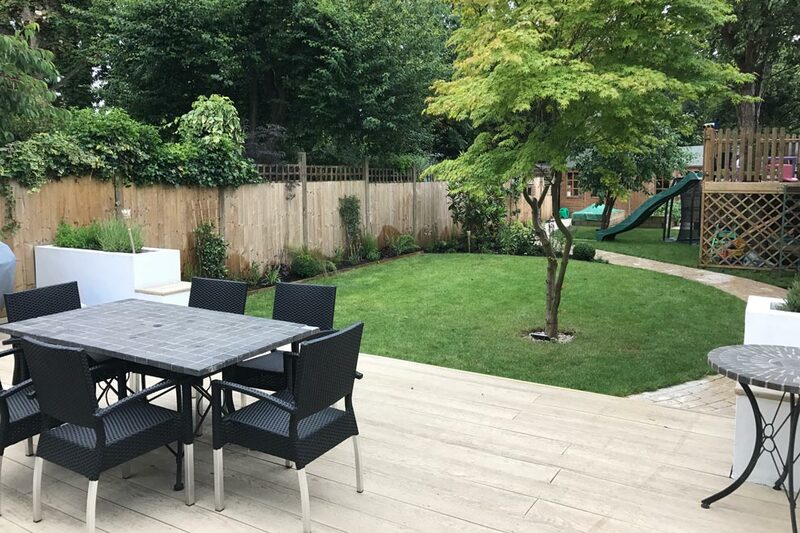 This garden was designed in a minimal, contemporary style but with plenty of space for the children to play, with a large tree house, sunken trampoline, vegetable beds and a very large shed. 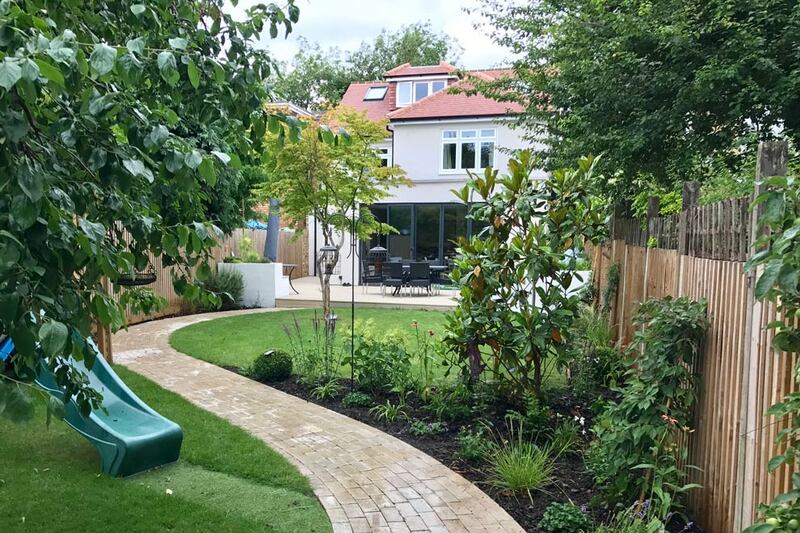 The decked area by the house was built from a composite decking and beautiful natural stone setts lead through the garden with a curved pathway. 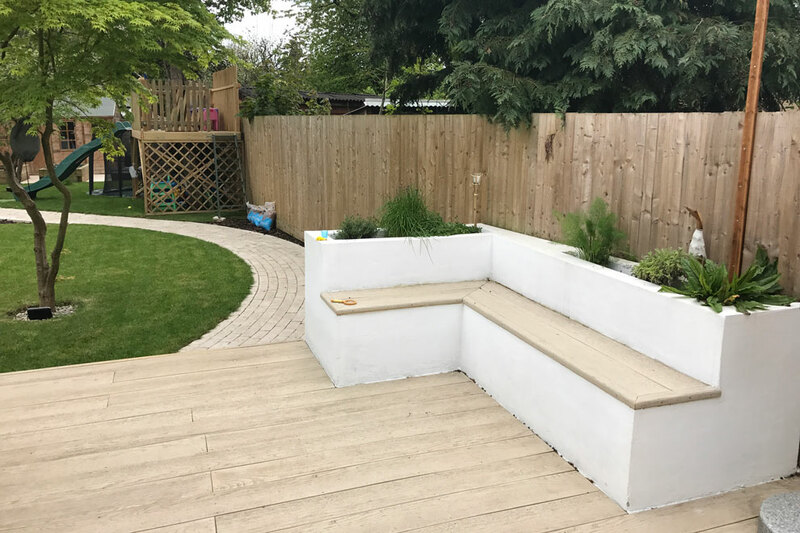 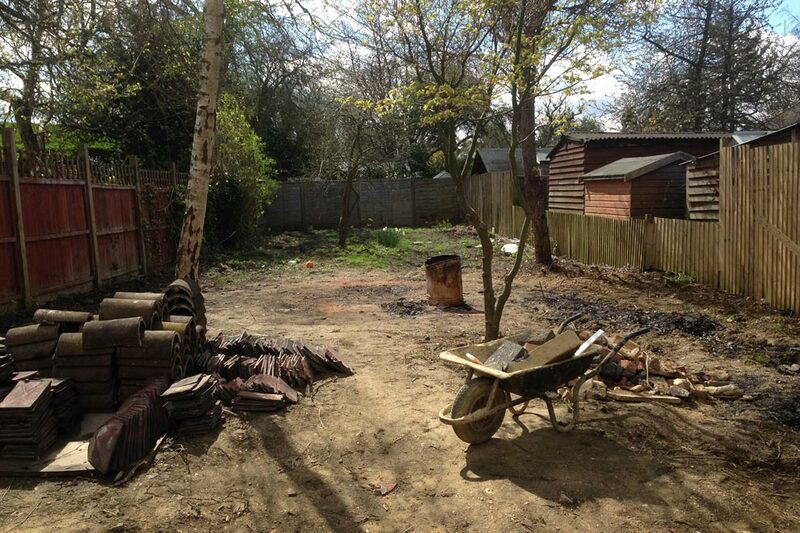 A seating area at the bottom of the garden has extra space for sunbeds situated in a more private space, where there is also a very large shed for storage. 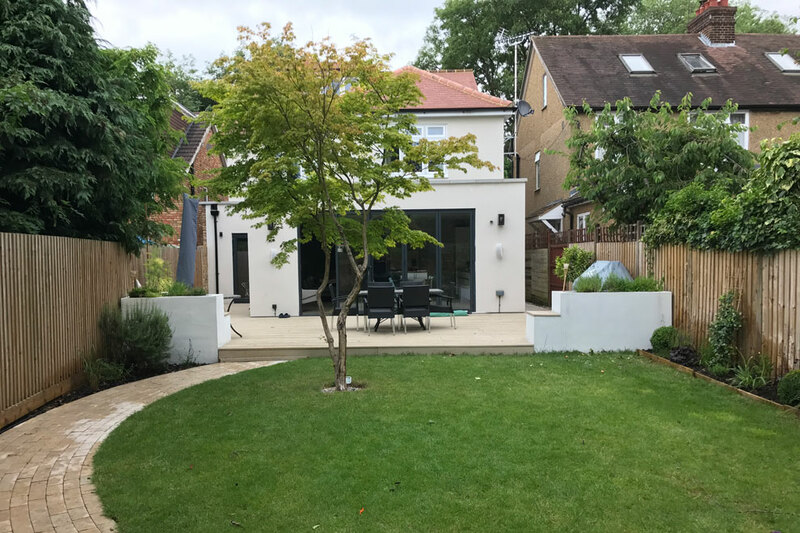 Simple but effective planting has a mixture of structural plants, along with grasses, buxus balls and climbers on the fence to add interest all year round.